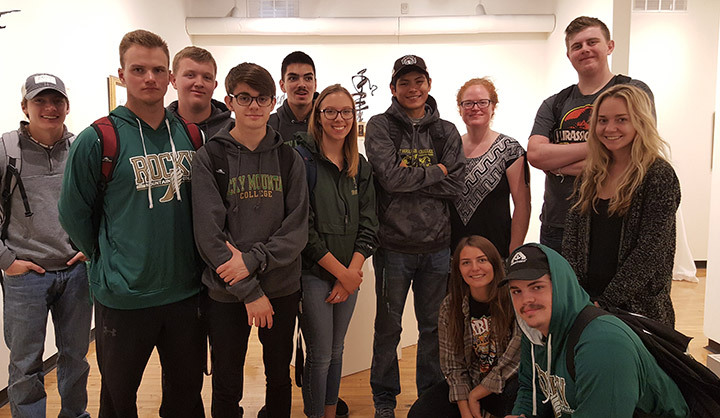 The First-Year Experience at Rocky Mountain College provides new students with broad academic and experiential programming. Our programming fosters collegiality and builds community. The First-Year Experience theme for 2018-2019 is "Self and Society." In their First-Year Experience, students will read literature, engage in discussions, and attend events that explore complex relationships between individuals and various communities to which they belong and with which they interact. How do we define the "self" in a world of multiple and shifting personal identities? How do we identify the sources of our personal values and beliefs, and how do we keep ourselves open to the growth and development of these beliefs and values? What are our individual responsibilities to urgent matters of local, national, and global justice? Participate in campus events, such as musical performances, faculty keynote lectures, the Common Read, art exhibits, and Coffee & Conversations. Friday, August 17, 2018, 12:45-4:30 p.m.: RMC Serves. Join your FYE class and teaching assistants in for our traditional service day at various Billings non-profit agencies. Monday, August 20, 11:30-12:30: Alliance for Renewing Indigenous Economies Presentation in Losekamp. You are welcome to attend this presentation. Please take a selfie at the event and write a one page reflection paper about the event. Email it to your Student Assistant. *This event will meet FYE’s requirement for a Coffee & Conversation event. Wednesday, August 22, 11:00 a.m. - 1:00 p.m.: RMC Job & Club Fair on The Green. Meet with on- and off-campus employers as well as clubs and organizations. Get involved at RMC! Join a club or organization. *Take a selfie with a rep at one of the booths and email the selfie to your student assistant for your attendance credit. Tuesday, August 28, 6:00 p.m.: Coffee & Conversation in Fraley Lounge. Aug 23-Sept 20, 2018: Ryniker-Morrison Art Gallery Visit. With your ENG 119 course, students take a tour of the Tim Holmes exhibit and discuss with their class. Email your class gallery selfie to the FYE program at precious.mckenzie@rocky.edu. Week of August 27 Financial Literacy: Academic Resource Center Director and Financial Guru Sara Whittle will visit your ENG 119 class and teach freshmen about college and finances. Week of September 4- 7: ETS Exam in ERCB/Woods Computer Lab. Student Assistants will proctor the exam for their class. Testing will take place during regular class times. Tuesday, September 11, 6:00 p.m.: Coffee & Conversation in Fraley Lounge. Tuesday, September 25, 6:00 p.m.: Coffee & Conversation in Fraley Lounge. Tuesday, October 9, 6:00 p.m.: Coffee & Conversation in Fraley Lounge. 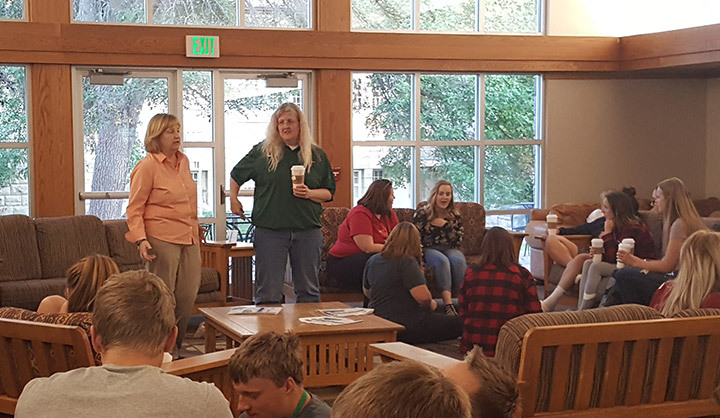 Thursday, October 11 and Friday, October 12, 7:00 - 9:00 p.m.: RMC Student Nights at Billings Studio Theatre for the play "Radium Girls"
Tuesday, October 23, 6:00 p.m.: Coffee & Conversation in Fraley Lounge. Tuesday, November 6, 6:00 p.m.: Coffee & Conversation in Fraley Lounge. Monday, November 30 through Friday, December 7: On Moodle, log into the First Year Experience and complete the end of semester survey. *Coffee & Conversations: Held every other Tuesday in Fraley. Attend one evening sometime this semester.Take a selfie at the event and write a one page reflection paper about the event. Email the reflection paper and the selfie to your professor/SA before November 5, 2018.